Interactive displays for education offer high performance and durability at a budget friendly price. 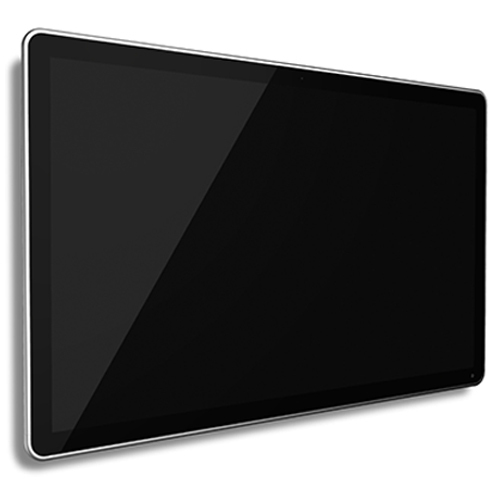 A range of sizes in HD or 4K resolution are available with various touch sensing technologies. Experience natural writing on a digital canvas. D&T offers unique touch and stylus technologies, such as EMR and Electrostatic Pcap, to create a pen-and-paper like writing experience. Interactive displays for education use glass with an Anti-Glare finish. AG glass improves display visibility from all angles, and provides a surface that is smooth to the touch and reduces visible fingerprints. Heat tempering ensures high glass hardness and durability. Apply your logo and identifying colour.